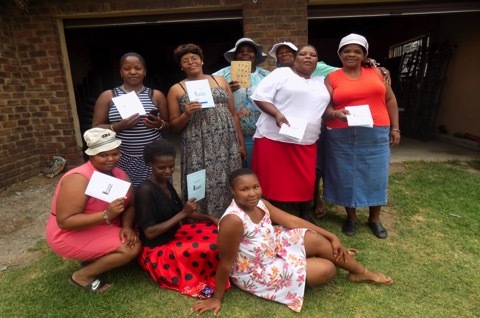 This photo story (text and images) was compiled by members of a FEDUP savings scheme in Mpumalanga with the purpose of introducing how urban poor women organise themselves through savings activities. It all starts with our ambitious citizens uniting to form one strategic society. When we stand together, we shall conquer. We create sustainable development through people-led development. Knowledge is power! We are one! Securing our beautiful land for the poor. Umhlaba Wethu, Izwe Lethu. Our Land, Our Country. 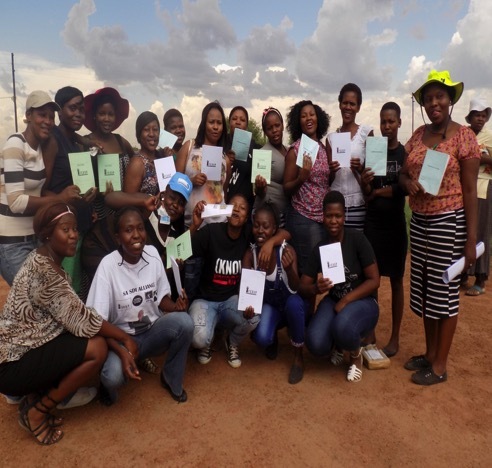 These women together with Walter Monyela [from CORC] gathered to ask the Chief of Kwa-Ndebele permission to buy the land of KwaMhlanga-Mountain View where they aim to build one hundred houses for the poor. As long as we are in motion, we will get there. Our vision is SMART – Sustainable, Measurable, Achievable, Realistic, and Time bound. The vision of these FEDUP members is to develop their own initiatives by using their skills and drawing on the support of FEDUP. Not only do these members have skills for art but they also have their own garden where they plant mushrooms and strawberries. They are still in search of a market to sell these. Initially the community of FEDUP did not see the value of saving, up until it was introduced to FEDUP. FEDUP in Bethal continued to grow from a small number of collectives. 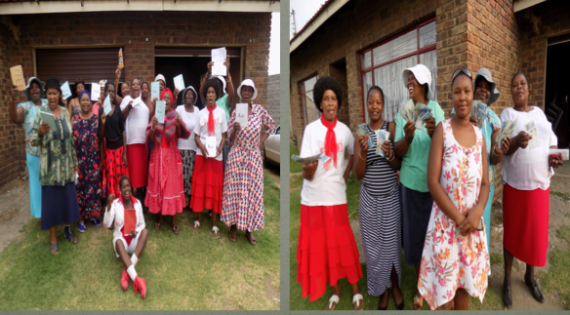 These women gather every Sunday afternoon to save money. Saving money makes them happy and wise enough to make good financial decisions with their lives. The coordinators in our savings groups play different roles. 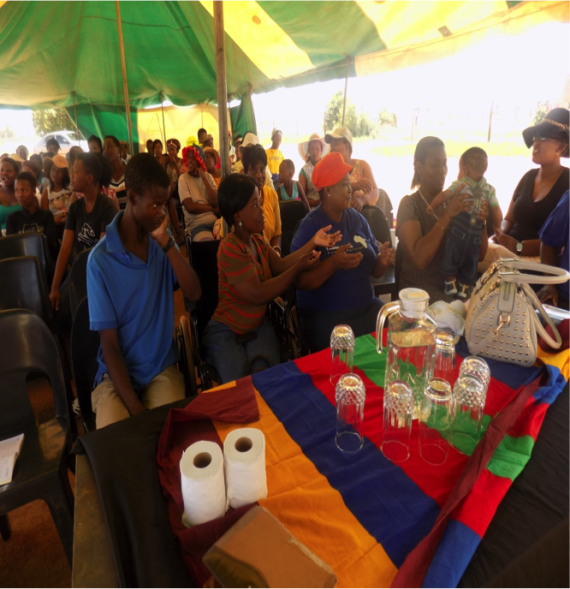 In the picture below our loan facilitator is Sbongile, our treasurer is Neliswe, Thembi organises transportation, Mainah is our secretary and Nomvula Nkosi is our programme director. That is good keep it up. amandla. Peter Goodman from the E/Cape @ Kleinskool.